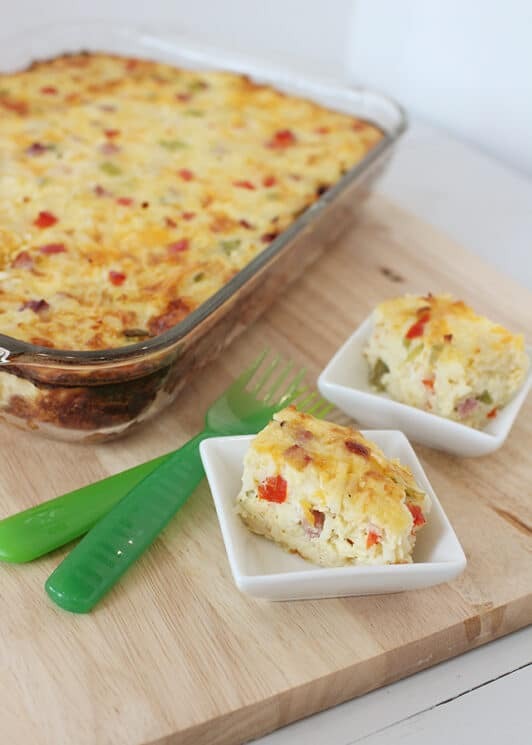 Classic breakfast casserole with amazing flavor and filled with nutrition at the same time! 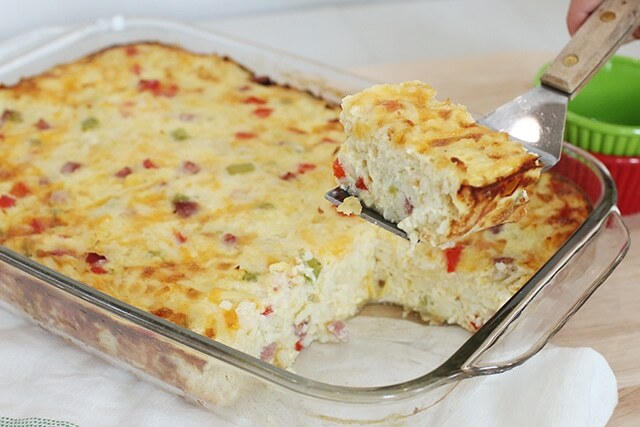 Breakfast casserole in my opinion is one of the easiest breakfast dishes to make. There isn’t an over mixing issue, or burning of anything on a griddle, or over cooking eggs on a pan. It all just does its think right in the pan while you get to run around doing all your morning things. 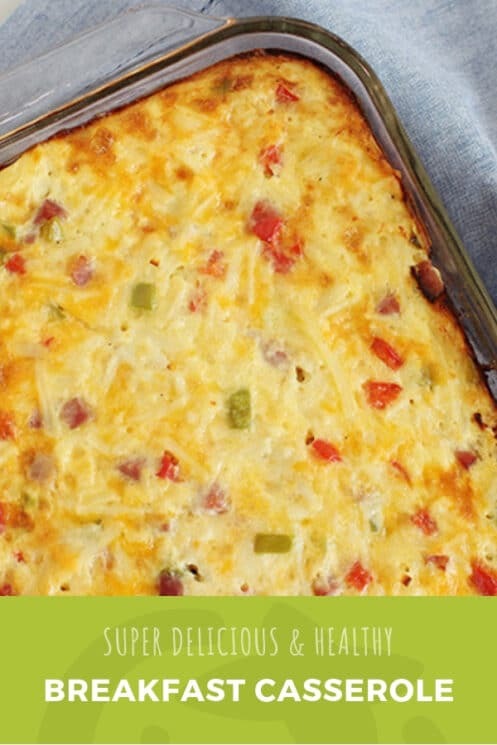 This breakfast casserole starts with chopping veggies. We love using different colored peppers! Then it is just a matter of mixing the eggs, hashbrowns and milk. Pour it all in your pan and then pop it in the oven. Let it bake and bubble in your oven while you get other things done. When you pull it out of the oven, I let it sit for a few minutes to finish setting up before I sliced into it. 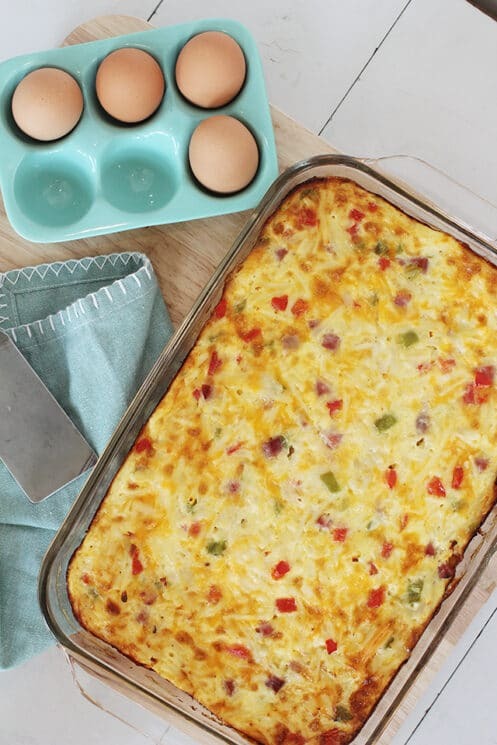 When you have a super busy morning ahead, a big event, or just want something really yummy for breakfast, those are the times when this breakfast casserole is the dish that will save you. Holiday mornings, when you have company over, birthday mornings, Sunday brunch, or if you have to feed a crowd. 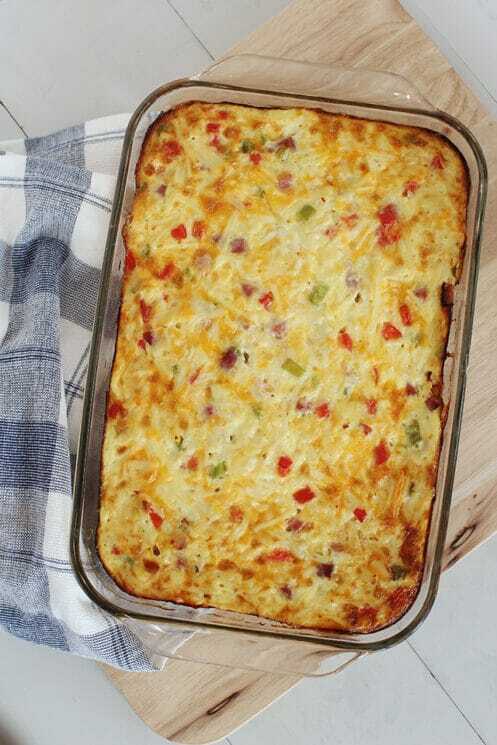 The best thing about breakfast casserole is that you can make it the night before and so all of the morning work required is just putting it in the oven! No dishes to wash, or ingredients put away. 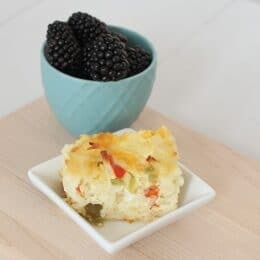 This breakfast casserole has peppers as the veggies, but there are other veggies that are super delicious in a dish like this. Mushrooms, carrots, spinach, broccoli, and zucchini are all good options.